The number of babies born with syphilis has shot up, and it&apos;s taking a toll. Of the 458 babies born last year with syphilis, 33 of were stillborn or died shortly after birth. From 2012 to 2014, there&apos;s been a 38 percent increase in cases of congenital syphilis. The spike reverses a previously falling trend in the rates of babies with syphilis from 2008 to 2012, according to a report released Thursday in Morbidity and Mortality Weekly Report. As rates of new syphilis infections rise and fall, rates of fetal and congenital syphilis tend to follow suite, says Virginia Bowen, an epidemiologist at the Centers for Disease Control and Prevention and lead author on the study. If a pregnant woman carries the bacteria, syphilis can infect the unborn fetus. When that happens, a lot of things can go awry. "Up to 40 percent of babies will die in utero or shortly after delivery," Bowen says. "Or they might have a severe illness like blindness or deafness or other types of damage." 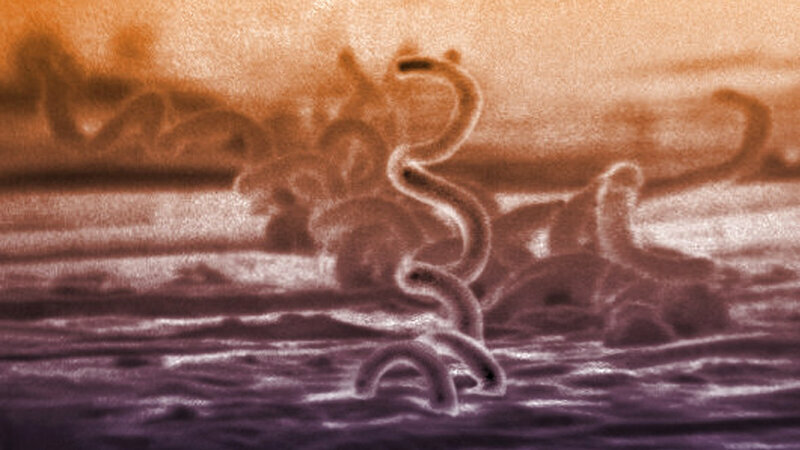 It&apos;s hard to know the reason behind the recent surge in syphilis cases, Bowen says. "The only thing I can say is syphilis is going up right now across the board," she says. "From &apos;13 to &apos;14, we are seeing syphilis going up everywhere, including among the women, and we don&apos;t have the answers as to why." The rising rates in congenital syphilis might betray a larger problem among health care for women and pregnant women, Bowen says. "There are a lot of barriers to getting into the door at the prenatal care provider. That could be related to insurance status, stigma or discrimination." If women aren&apos;t getting adequate prenatal care, then they can&apos;t be screened for syphilis. Access to care can be particularly hard for certain populations, says Dr. Martha Rac, a maternal-fetal medicine physician at Ben Taub Hospital and Baylor College of Medicine in Houston who was not involved with the study. "African-American women are more disproportionately affected by syphilis than any other race," she says. And 57 percent of children with congenital syphilis were born to African-American women. Lack of prenatal care is probably the greatest contributor to the upturn in congenital syphilis, Rac says. "It seems to be the common theme that women having congenitally infected babies overwhelmingly have, if any, late, poor prenatal care. That is a big area which can be targeted from a public health standpoint." Some states have been harder hit than others. California went from 35 cases in 2012 to 99 in 2014, while Texas continued to see a slight decline in the overall number of babies born with syphilis. "In April, I designated Fresno County as an area of high syphilis, so providers are required to screen for syphilis three times during pregnancy," says Dr. Ken Bird, health officer for the Fresno County Department of Public Health. There are states that have free health coverage for pregnant women. "In California, every pregnant female has coverage for prenatal care [through the Medi-Cal program]. Many don&apos;t realize that, and they&apos;re not sure how to access that care," Bird says. Other states may cover prenatal visits through state Children&apos;s Health Insurance Programs. Syphilis is a difficult disease to diagnose, Bowen says. Many people become asymptomatic after the first lesions or rashes appear, but can still pass the infection on to their unborn children. But as long as the infection is caught early enough, a simple course of antibiotics is enough to ensure a healthy baby. "Of the 458 cases we had last year, every single one of them is considered preventable," she says.